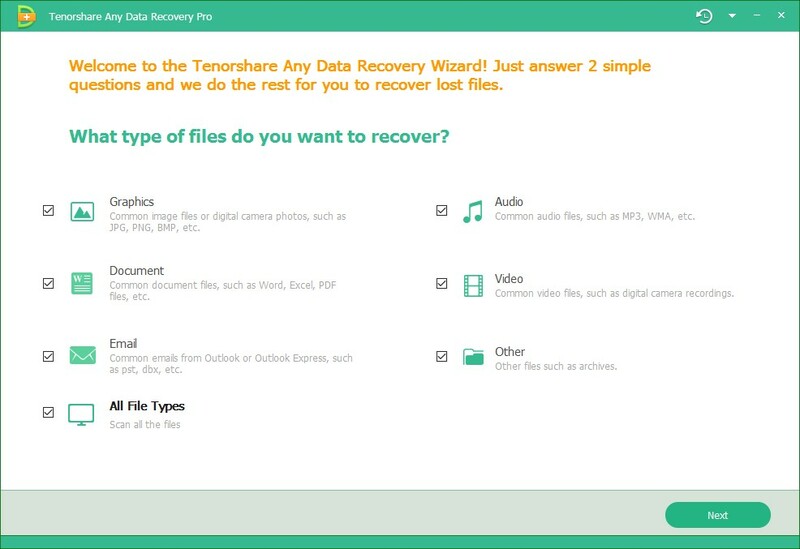 Tenorshare Any Data Recovery Pro is a comprehensive data recovery tool for Windows 10/8.1/8/7/xp/Vista. It helps to recover deleted or formatted photos, videos, music, documents and other up to 550 types of file. 100% recovery rate guaranteed with advanced search algorithm.